"The conspiracy theories write themselves. EA, after sending Titanfall 2 out to die, bought up the business and forced it to stop making Titanfall 3 and build a free-to-play game instead"
It certainly fits the profile. EA is a notorious trend follower. Apex Legends ticks all those Fortnite boxes. You can already imagine the E3 reaction to its reveal. The snarky Twitter comments. The endless interview questions about the game's business model. Indeed, GamesIndustry.biz has long heard how a number of Respawn developers have returned to their former stomping ground at Infinity Ward, so you can just imagine what people would make of that. All it takes is for one disgruntled employee to sound off on Reddit about how 'this wasn't the game I joined the company to make', and suddenly you've got a headline. Even if it's not true, it sounds it, and that's the important thing. It doesn't matter that Respawn boss Vince Zampella has never made a bad game. It doesn't matter if a new battle royale title by one of the most acclaimed shooter developers in the world is actually an exciting thing. There is too much potential for negativity and anger, that the reception is almost inevitable. So why risk it? Just get the game out there and avoid the months of PR hell that'll only succeed in distracting and depressing the development team. EA has been stung once already in the last nine months, when it announced Command & Conquer: Rivals for smartphones at E3. The return of one of its most loved strategy games on the world's biggest games platforms, and it was derided, mocked and heckled. You might expect it from the gaming community, who really wanted a full new PC game, but this also came from those within the business itself. The game has a 4.5/5 score on the App Store, players actually like it, but that didn't matter. It was EA. It was free-to-play. It was mobile. It was wrong. So of course, of course, Apex Legends didn't get a pre-release campaign. There is something to be said, and we've said it in the past, of the challenging nature of working with a super passionate (don't say the word 'entitled') gaming audience. They want certain things, and if you don't deliver, you can expect review bombing, petitions and a lot of moaning. But how much does the media feed into this? Two weeks ago I was talking to a former leading editor from a well-known movie publication and he said: "Film journalism is much like games. The only difference is that we like our medium." It's not the first I've heard it. It's a frequent joke in the business about how the games media seem to hate video games. It's not actually true. It's not that the games media hates games, it's just that the negative stories tend to generate the most noise. It's right that the games media addresses concerns around loot boxes, or exposes bad working practices. It's not that these stories outweigh the others, it's just that they generate the most discussion. "We as an industry talk about the importance of accessibility, diversity and inclusivity. Except, apparently, when that comes to showing a mobile game at Blizzcon"
In October last year, I was a little frustrated by the lack of wider coverage of our Best Places To Work Awards. Rockstar was dominating the headlines with reports of its crunch culture. However, a three-month research project, with thousands of employees surveyed, which revealed the games companies that do things right (notably, EA's Criterion emerged as No.1 in the UK), barely got a look in. We detailed more than 20 UK and Canadian games companies that are excellent employers with a happy workforce. But the wider industry was more interested in unhappy places. And yet, I understood why. Our own Rockstar coverage was by far our most read stories of the month, well ahead of our exclusive research project. There's no news like bad news. Yet, even so, could it be true that perhaps we (and I say we, because the business press can be guilty of it, too) are just a little too sceptical? A lot of the media today like to add opinion and personality even to straight news stories and let's be honest, most of the time those opinions are questioning and challenging (as journalists should be). The problem is that developers and publishers are now openly frightened to tell you about what they're working on. Ubisoft's Davide Soliani, ahead of revealing Mario + Rabbids at E3, had told his team to "prepare for the worst". PlayStation and Xbox no longer show anything outside of core games on stage at E3, because gamers don't want to see kids games or things like Move or Kinect. We as an industry talk about the importance of accessibility, diversity and inclusivity. Except, apparently, when that comes to showing a mobile game at Blizzcon. It's not the right audience, of course. And now it never will be. How do you deal with this negativity and scepticism towards anything that doesn't adhere to consumer expectation? Well, perhaps Respawn has found the answer: don't give anyone the chance to be angry, or to set-up petitions, or send furious tweets. Just put it out there, and get a million people to pick up a pad and play it. If they like it? Happy days. If not? Well, Anthem is out in a few weeks, and maybe they'll make Titanfall 3 next. In other words: "Let's just ship the game and let players play." You're not too skeptical, just nobody cares about good news. It's a shame but I think it's human nature. This is the first I've heard about this 20 best places to work list. Will go read that now. What is a full PR campaign at this point? One that imitates the movie industry? An industry operating under totally different conditions. Movie theaters have limited capacity, they need to fuel the hype, get all people into the theater at once, then make the same happen for the next movie two weeks later. That is not how games as a service work. There is no immediate pressure to have the audience churn through many products at a high turnover rate. Why do a traditional campaign that includes showing video of the game, stream it to the internet in low quality (e.g. AMD talking about their amazing 4k hardware on a 720p stream), or hope that some second rate regurgitated text or Youtube confessional describing the event with words of all things is suitable to make a sale. On top of that, this all happens in a market that is hardly starved for content. You can basically reject games based on protagonist hair styles and still have more to play than you have ever time for. EA is doing the only right thing. They bought themselves an audience to get the game in front of people (sorry EGM, it is Twitch now) and they do not expect people put up with waiting for a game to be released like a child waiting for Christmas. Remember the Hardline Demo, that was also EA. Engage the audience willing to listen immediately and directly (cmp. Free Anthem Demo) and do not try to evangelize what essentially is another cult. If that means Titanfall 3 is gone and Respawn now makes a Star Wars game, then watch the Titanfall 2 Cinematic Trailer again. While watching it replace the word Pilot with Jedi and the word Titan with The Force. Love this marketing strategy. Not just to avoid haters, but to avoid drowning us in noise for an entire year before the game comes out. Weird to have Apex, Anthem and Firestorm releasing within a month of each other though. Sigh. Another BR game that's not on Steam. Guess I won't be playing it. As for the surprise release strategy, I'd say it's clever, but not smart. Smart would imply that it would work in all or most of the cases while it is quite risky to do so and most other devs, even big ones (not to mention indies) wouldn't benefit from it. So it may be clever and may have to work for EA this time, but it's definitely not smart. PC gamers wanted to be included. The response they got was tone deaf and exclusive. I'm willing to bet a lot of people in that room during the Diablo announcement had Hearthstone installed on their phones. Hearthstone is a major franchise for Blizzard that is very accepted by the community, including the mobile ports. Being on cell phones was never the problem. The problem was excluding the PC as a platform. When Blizzard held their Q&A for the game, the question asked to Blizzard was if the game was coming to PC. Note that the person who asked the question was actually already interested in the game! He wasn't asking Blizzard to get rid of the game, he was asking if Blizzard was willing to port the game to PC. Maybe he actually thought the game would be a great game and just wanted it on his preferred platform. This is what really annoys me: Deafness to what people are really saying, and an insistence that a false narrative (that the Diablo players in the room didn't want a mobile port) is true. Ignoring nuance and pushing a false "gamers are anti-mobile" agenda.
. . . and I'm willing to bet the same is true for Command & Conquer. It's been a while since we've had a game in that franchise for the PC. I think it would not have anywhere near as much backlash if they made an announcement for the PC as well as the mobile title. I think that it is in fact exclusion that is pushing a lot of the toxicity - exclusion of consoles and PCs from important franchises that have historically been on console and PC. Which pushes me to believe my point even more: Players aren't hating mobile. They're hating that other platforms are being excluded from important franchises. The evidence points this way. This is why we can't have nice things: The most toxic vitriol is what is being listened to, the nuance is being drowned out, ignored. If the money is in the clicks, clickbait is all you shall get. Nuance is for people who communicate, not for people with Twitter spasms. @Jeremiah Moss: I think the one point that you missed for these is the tempered expectations of diablo VS Apex. 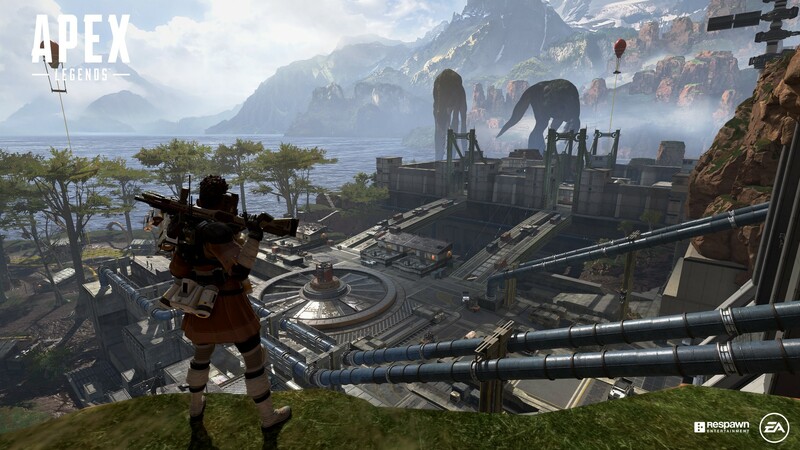 Titanfall fans were still disappointing yet the average person is excited for Apex. I am sure some people who don't know about Diablo will love the mobile game, yet the biggest fans (who had just paid to see the announcement) were given something that was well below expectations after a lot of hype. If they had announced it elsewhere or in a different way would have been better. Because of that I think Blizzard was tone deaf in that announcement. They release a Fully pvp game shortly before the release of Anthen, which they announced already that it won't have any PvP, not now, nor in the future. Call me "conspiranoid", but I see something that makes sense in my head. @Alfonso Sexto: As Bob alluded, I don't know how much synergy their release schedule is aiming for. I'm not sure if EA as a parent company really tries to influence their child studios in that regard, or if they care to try and optimize in that way: certainly this is the same company that famously released Battlefield 1 and Titanfall 2 within less than a month of each other, after all.